Truth be told, this team overachieved. 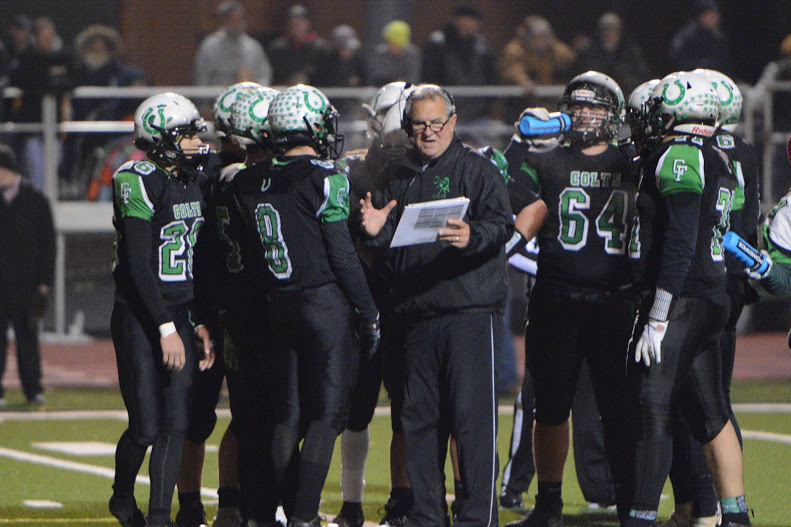 The Clear Fork football squad that just went 12-1, won an MOAC title and made it to the regional finals before falling to powerhouse St. Marys Memorial did more than many expected. Even their coaches. Possibly their fans. Head coach Dave Carroll admitted after Saturday night’s season ending loss that his staff was unsure what this team was capable of doing. It had come off a great 2017 season. Maybe 7 or 8 wins. That would have been a good season given how much the Colts lost from the team that made it to the second round of the Division IV playoffs. “Last year it was expected. The kids we lost were really good players and had really good leadership,” Carroll said. But this year’s squad did more. A lot more. They beat playoff-bound Marion Pleasant in a thriller to cap a perfect 10-0 regular season. Next they dispatched Bryan and Lorain Clearview, two quality opponents. They averaged more than 420 yards per game in total offense displaying a nearly perfect balance of run/pass on offense. The defense, under Mike Carroll, was stingy and physical. It yielded an average of just 195 yards and 11 points per game. Teamwork and heart were key to their success. So was leadership, according to their head coach. This team will go down in history in the Clear Fork Valley. “Hopefully we won’t have to wait 7 8, 9, 10 or 15 more years to do it again,” Carroll said. Carroll is an old-school coach. He’s tough and demands a lot from his players. He reminds me of my high school coach, George Kovalick. Same mindset. Same physical approach to the game. Same love for his kids. Carroll also complimented his friend and coaching rival, Doug Frye from St. Marys Memorial. The takeaway from that game is for the program to keep improving. The season ended a few weeks sooner than they would have liked, but what a season it was for the Colts. “They rose above and beyond,” Carroll said.